WIMCO Agents: Experts who know their "stuff"
Looking to book your next vacation? Book with WIMCO Villas! When looking to travel somewhere for the first time there is only so much you can trust online. You can do your research on the web or in books, but most people trust what they have heard from friends and family who have traveled to that destination. WIMCO agents are not your average travel agents; they are pure experts on the villas and destinations they represent. They go the extra mile to create a personalized vacation for you. What going the extra mile consists of is actual first-hand experience with the villas that they gain through FAM (Familiarization) trips. WIMCO travel agents go on these FAM trips to familiarize themselves with what they represent; they can travel to islands, stay in the villas, lay on the beaches, taste the food, and most importantly experience the island as a whole. 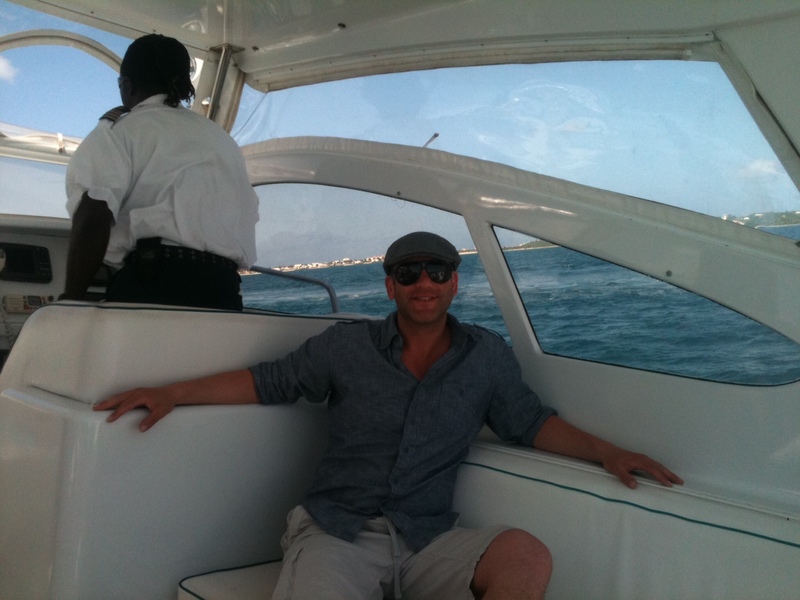 Ben on a Private Boat transfer from St. Martin to Anguilla! Speak directly with Villa Consultant Ben Werner! Ben shared his experience in Anguilla with his fellow WIMCO agents that stayed behind, so everyone could gain knowledge from his trip. One of the villas he particularly enjoyed was Villa RIC KIS, which he reported as remote, private, and over the top luxury. He also enjoyed Villa RIC SEA which has an amazing beach and over the top service. For rates, availability, and additional photos, visit WIMCO!